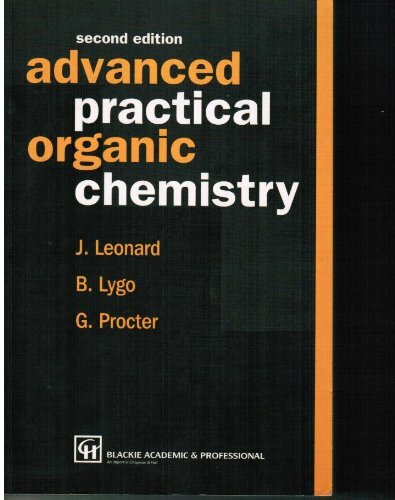 With an emphasis on techniques commonly used in organic syntheses, Advanced Practical Organic Chemistry, Second Edition draws on the extensive experience of the authors and their associations with some of the world's leading laboratories of synthetic organic chemistry. In this edition, all figures have been re-drawn to bring them up to the highest possible standard, and the text has been thoroughly revised. It is designed primarily for postgraduate, advanced undergraduate and industrial organic chemists, particularly those involved in pharmaceutical, agrochemical and other areas of fine chemical research.